Sun and clouds mixed. High 82F. Winds SSW at 5 to 10 mph..
Highland Park — A vehicle being pursued by police crashed into a Gold Line train early this evening and then slammed into the side of a home near the tracks. LAPD spokesman Tony Im said officers had been following a stolen vehicle suspect when the crash took place shortly after 5 pm. The suspect was taken into custody, he said. No injuries were reported, said the L.A. Fire Department. 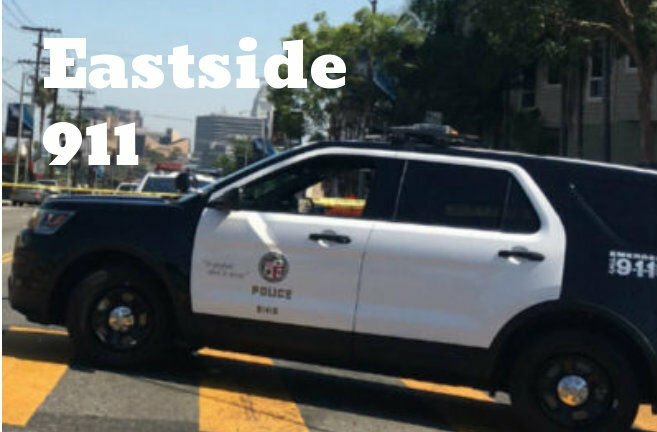 Information from the L.A. Fire Department and posts on social media said the crash took place near Marmion Way and Avenue 56 — only about a block away from where the pursuit began. Photos posted on Twitter show a sedan crashed into a wood-sided home at the corner of Avenue 56 and Marmion Way. A person with their hands held behind their head was pictured lying down next to the vehicle. Gold Line service in Northeast L.A. was disrupted following the crash near the Highland Park station, said Metro. Riders could expect delays up to 25 minutes.